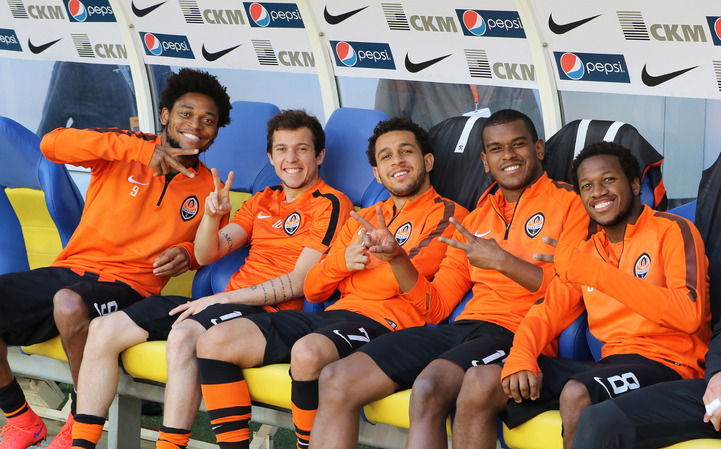 The recent football season became memorable to the Orange-and-Black community owing to Luiz Adriano’s Champions League records and Alex Teixeira’s winning the Ukrainian league goal-scoring race. These two became characters of a huge number of pictures and videos. However, the other Brazilian players also regularly found themselves in the spotlight. We are inviting you to view a selection of photos and once again recall the highlights.